Libby joined our group in the Summer of 2015 as a leading young runner in the East Midlands region, and a developing triathlete of note. Since joining our group Libby has continued to add to her accomplishments. 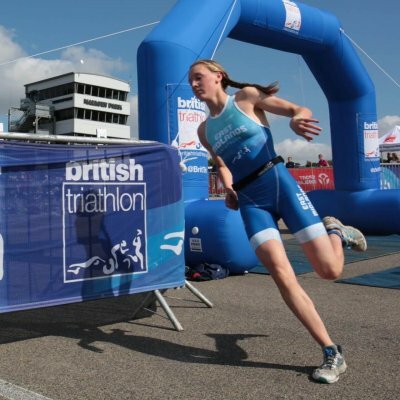 In 2016 Libby – competing as a lower end ‘youth’ Triathlete – won the National Aquathlon Championships; took silver in the National Duathlon Championships; and finished joint 2nd in the National ‘Super Series’ Triathlon Championship. These achievements led to Libby’s promotion to the England Talent Squad, as one of the youngest triathletes in the programme. Further to her triathlon successes … In 2016 Libby recorded a 3000m best (10-13.16) on the track, and reached the Inter Girls 3000m final at the English Schools T&F Championships. At X-Country she finished 6th in the U15G category at the English National XC Championships, and – on the roads – recorded a 5K best of 18-17 that placed her 4th in the U15G age group on the 2016 UK National RunBritain Rankings. In December 2016 Libby improved her 5K best to 17-56 in claiming the women’s course record at the Mansfield ParkRun.